The invitation to unveil the portrait of the former Tamil Nadu chief minister and AIADMK general secretary comes more than five months after her demise in a hospital here from an over three-month-long illness. 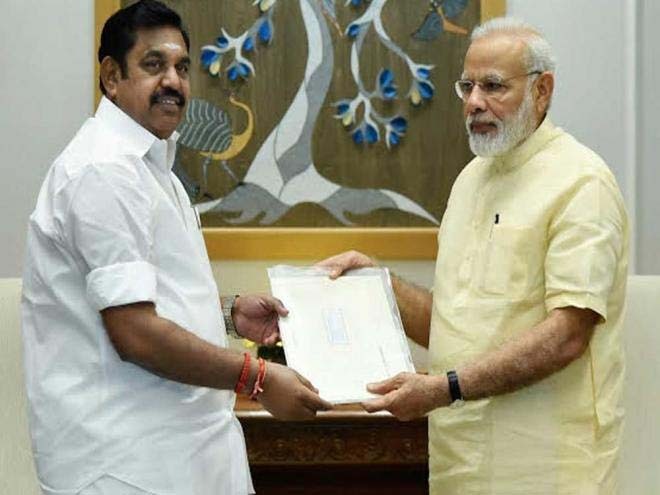 Chennai: Tamil Nadu Chief Minister Edappadi K. Palaniswami has written a letter to Prime Minister Narendra Modi, inviting him to unveil a portrait of J Jayalalithaa in the state legislative assembly in July. It also comes amidst political and leadership wrangling within the AIADMK in which two factions -- one led by former chief minister O. Paneerselvam, and the other led by jailed former general secretary V.K.Sasikala, are vying to take control of the party.